Are you trying to find used car dealerships in Warsaw IN that offer an impressive selection of used trucks for sale in Warsaw? Lucky 7 Car Store is the only used car family of dealerships you need in your search for used car dealerships in Warsaw for a full inventory selection. Lucky 7 Car Store has such an expansive range of used vehicles for sale to choose from at their Mishawaka and Fort Wayne locations and their Warsaw dealerships is no different. With such a complex variety, the selection they provide should be able to please almost anyone's taste when you come to the Warsaw dealership of Lucky 7. At Lucky 7 Car Store, we have a significant amount of brand-named automakers at our used car dealerships in Warsaw, Mishawaka, and Fort Wayne. We aim to provide the best-used car shopping experience around when it comes to buying your next vehicle. With such a large selection of vehicles, it's no wonder people all over Indiana pass up other used car dealerships near me to come to the Lucky 7 Car Store dealerships to find the perfect used vehicle that fits their lifestyle and their budget. Including the used Chevy trucks for sale in Warsaw. 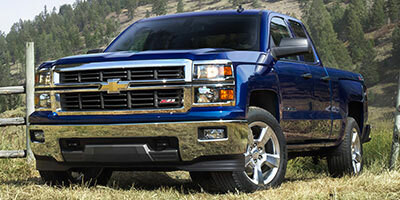 Like the used Chevrolet Silverado 1500 for sale. This used truck for sale can offer you plenty of power and capability out on the wide open roads of Indiana. With this used Chevy Silverado 1500, you can travel around in confidence with the equipped four-wheel drive and 4.3-liter engine. This used Chevy truck for sale has a lot to offer any driver in Warsaw, Indiana. With this used Chevy truck for sale you are sure to have all the power and capability you need to tackle any obstacle the road throws your way. There are also many great features and options to enjoy with this used Chevy truck for sale that you won’t want to miss out on. Including items such as an Onboard Hands-Free Communications System and steering wheel audio controls, as well as even more for you to enjoy. With this used truck for sale in Warsaw, Indiana you are sure to have a great time driving around, enjoying all the power and capability you need while relaxing with its many great features and options. This used truck for sale is certainly worth checking out at out Warsaw dealership! So come on by Lucky 7 Car Stores today and check out this used Chevrolet Silverado 1500 truck for sale for yourself today! Drivers all over Warsaw, Mishawaka, and Fort Wayne love our used trucks for sale in Indiana. You can too when you come to one of our Lucky 7 Car Store Warsaw, Mishawaka, and Fort Wayne used car dealerships. When you are looking for Warsaw dealerships near me for used trucks for sale in Indiana, come to Lucky 7 Car Store. Our Lucky 7 Warsaw location Car Store can be reached at 574-376-4573. Or stop in and see us at 222 South Bronson St. Warsaw, IN 46580.